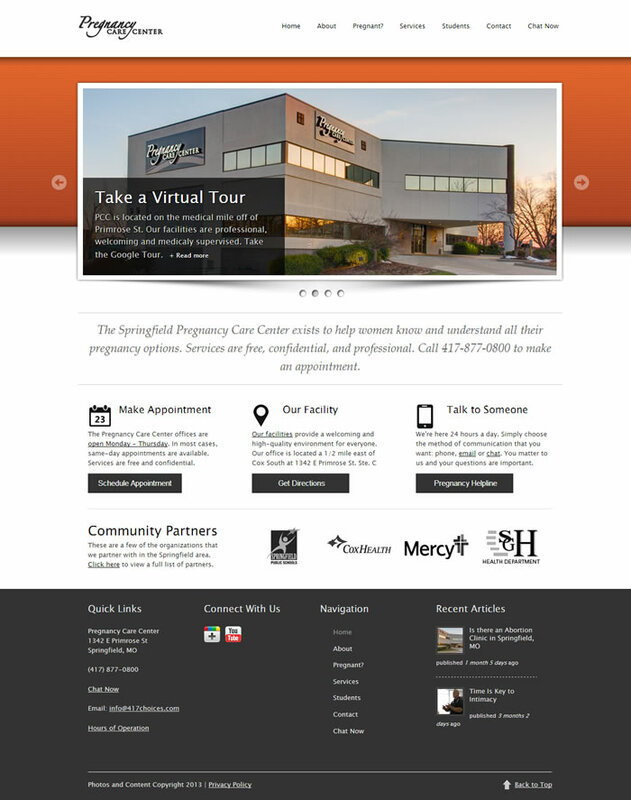 The Pregnancy Care Center has helped over 12,000 women in the Springfield area since it was launched in 2000. Web Marketing Services was proud to be part of the team that helped to create and deploy a new client site. WMS provided development, consulting and search engine optimization services. 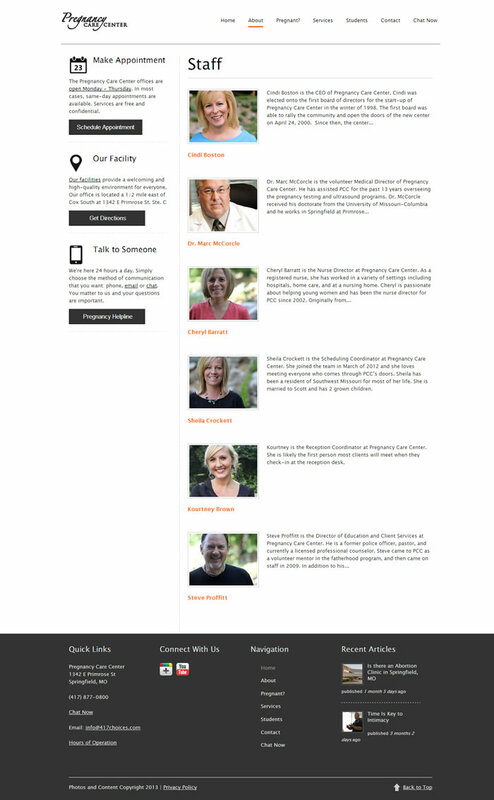 The site uses a beautiful mobile ready theme purchased from a 3rd party provider.